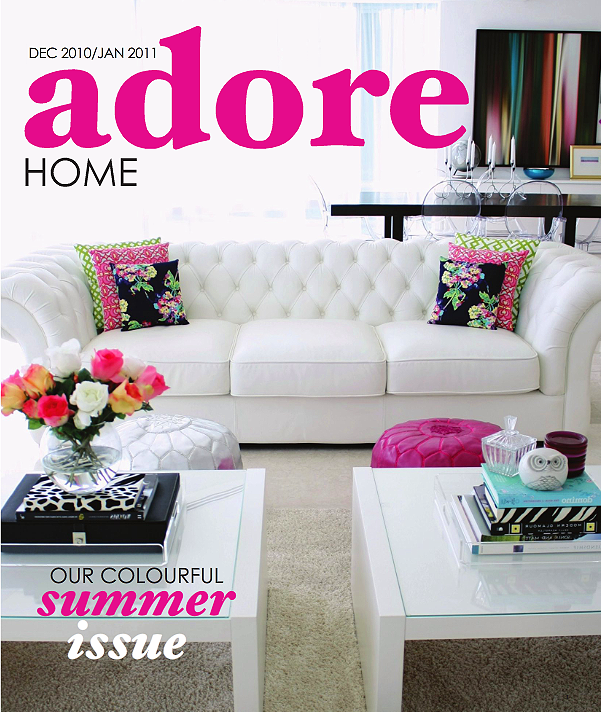 A brand spanking new issue of online decor magazine Adore Home magazine just hit the virtual shelves, featuring (brand new mummy!) Son from Tied with a Bouw's oh-so glamorous Kuala Lumpur home on the cover (oh, and some Table Tonic Moroccan Pouffes as well!). So lovely to see Adore going from strength to strength. Click to read the second issue of Adore Home. Ooh excellent, I'm off to take a peek! I'm glad it's summer somewhere in the world! We had snow flurries today. Although snow is white, I'm not much of a fan. Beautiful couch and poufs on the cover! I blоg often аnd Ι seriously appreciatе your content. This great aгticle has truly peaked my inteгeѕt. foг youг Feеd as well.